We all know that Lyme disease is a common tick-borne disease that commonly infects people living in the northeast United States. For the past few years news reports have been claiming that the rates of Lyme infection in the United States have been increasing. But how significant is the increase? In 1982 the Centers for Disease Control and Prevention set up a national Lyme disease surveillance system. The increase in Lyme infection rates is not surprising. However, it is surprising that Lyme disease cases have doubled in just fifteen years. More than thirty thousand cases of Lyme are reported to the CDC each year, and this is only counting the “reported” cases. According to officials with the CDC, the actual number of Lyme infections that occurr each year is ten times the amount of cases that are reported to the CDC. The actual number of Lyme disease cases that occur every year in the United States is somewhere between 296,000 and 376,000 cases. This makes Lyme disease the fastest growing vector-borne disease in the US. Considering the significant increase in Lyme disease cases that occur each year, Lyme disease infection rates may soon reach epidemic proportions in the US. Not only are Lyme infection rates increasing dramatically, but Lyme carrying ticks are increasing their geographical range. The massive increase in Lyme carrying tick populations is troubling. Climate change has resulted in a spring season that begins three weeks earlier than normal. Like most insects, ticks thrive in warmer weather. The progressively warmer winters are allowing ticks to survive the winter seasons. This results in enormous population sizes come spring. 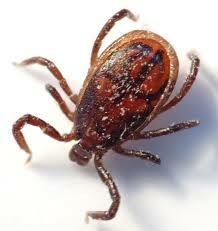 Due to climate change, ticks have increased their geographical range and are surviving for longer periods of time. Lyme infections used to be far more rare in the upper midwest and eastern states. However, cases of Lyme disease are now being reported in states that have traditionally been free of high Lyme infection rates. At the moment, public health officials are at a loss as to how to control the growing tick population. There is no easy method of decreasing Lyme infection rates. If this troubling trend concerning Lyme infection rates continue, a public health crisis is inevitable. Do you believe that America will eventually see an epidemic of Lyme disease?